Jennifer was born in Waterloo, Iowa and raised in Hudson, Iowa. Her love of people dictated that she be involved in every sport, church group, choir, and leadership position available. She attended Luther College in Decorah, Iowa, graduating in 2001. While at Luther Jennifer spent a semester in Malta. After Luther she worked at two law firms, one in Iowa City and one in Portland, Oregon. Jennifer graduated from the University of Iowa College of Law in 2006 after studying abroad in France and Spain. She promptly moved to Minneapolis and worked in the Business Valuation Forensic Litigation group at LarsonAllen LLP, now CliftonLarsonAllen. 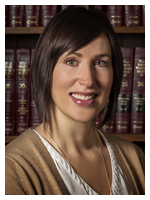 Jennifer purchased the Libera Law Firm and moved to Winona in 2009. She is married with three children and splits her time between her Winona office and her Rochester office. A native of Wisconsin, Steven Badciong holds an undergraduate degree from the University of Wisconsin-Platteville, and earned his J.D. from the Marquette University Law School. While at Platteville, Steve began working for United Building Centers and continued that relationship while attending law school and, upon graduating from Marquette, he moved to Winona to work at their General Office. Steve’s work with United Building Centers spanned thirty years, the last twenty as the Director of Credit Management and in addition did work with the company’s real estate transactions, mergers and acquisitions, contract reviews and employment relations. 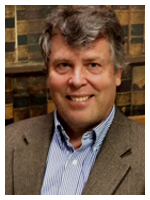 He is a member of the Minnesota State Bar Association and the State Bar of Wisconsin. He is licensed to practice in Minnesota, Wisconsin and the U.S. District Court for the Eastern and Western Districts of Wisconsin and is a qualified neutral under Rule 114 of the Minnesota General Rules of Practice. Susan was born in Chicago, Illinois and spent her childhood in Illinois before moving to Southeastern Wisconsin. 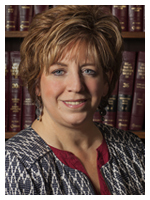 She attended Winona State University and graduated in 1983 with a Bachelor of Science in Paralegal Studies. Susan's paralegal internship was with local attorney William A. Lindquist and that internship began a 27 year employment with him until his retirement. Susan also worked for the Wohletz Law Office for several years before joining the Libera Knapp firm. Susan's career as a paralegal has been concentrated in the areas of Elder Law, Wills, Estate Planning, Probate, Guardianships/Conservatorships, Real Estate and Litigation Support. Susan has volunteered and served on various local charitable organizations and is currently serving on the Paralegal Advisory Board at Winona State University.